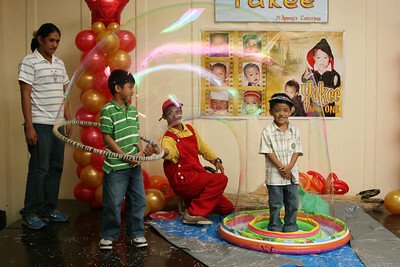 Planning your kid's birthday party and wondering what type of entertainment to amuse your guests with? 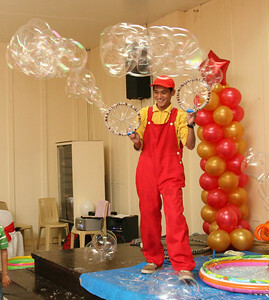 Consider a Bubble Show instead of the usual magic acts and clowns and acrobats! 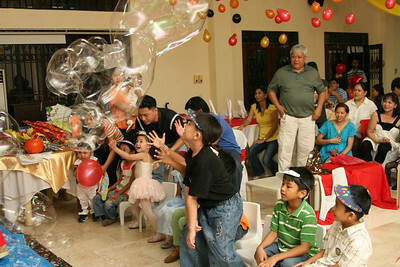 Aside from not being that common, bubbles are always popular with kids. 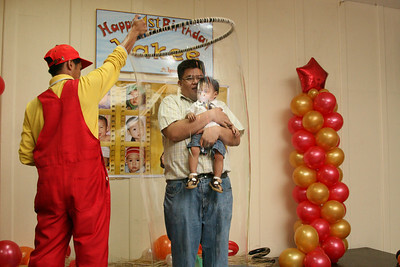 And we're talking of giant bubbles here, enough to engulf someone inside it, which would make for a great photo opportunity for the kiddies. 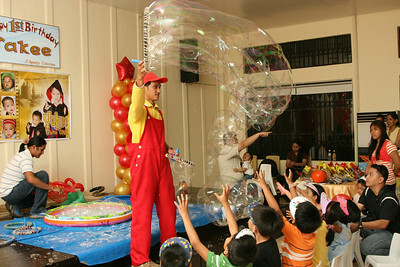 What should one expect to see in a bubble show? Allow me to use pictures.